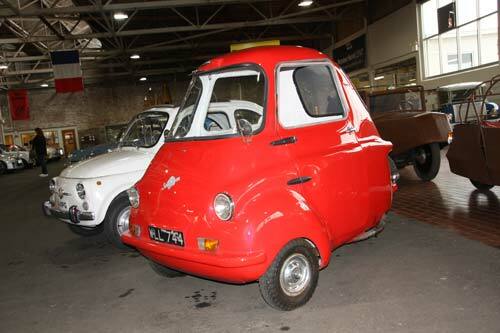 It may seem hard to believe, but the manufacturer of the Scootacar also produced railroad locomotives. 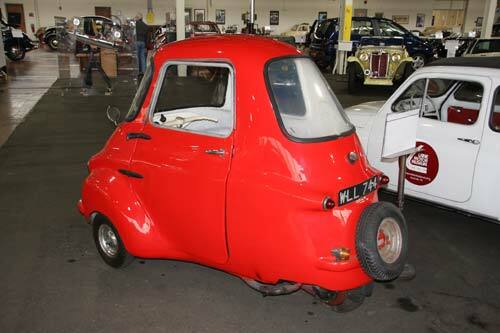 The Scootacar was developed in 1957 by the Hunslet Engine Works of Leeds, Yorkshire, UK, by Henry Brown, using a Villiers two stroke engine. The basic design was arrived at by having Mr. Brown sit astride the engine while an assistant drew a chalk outline on the floor. It had a steel chassis, a Villiers 9e engine driving the single rear wheel and handlebar steering. 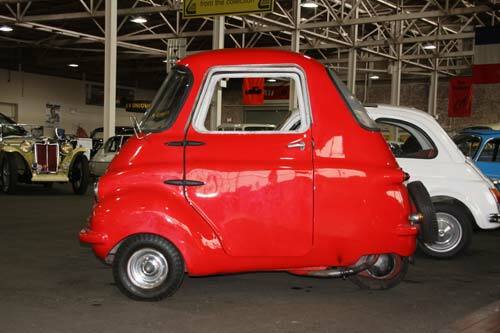 The fiberglass body was produced in two halves (left and right) with a single door on the left hand side. 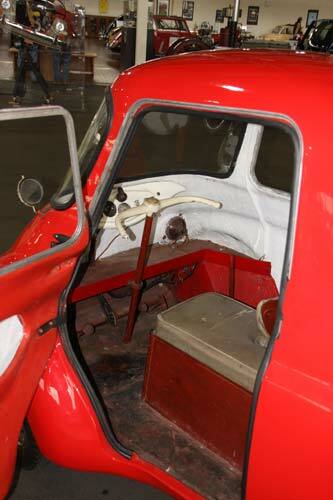 The driver sits on the front end of a narrow tandem seat. 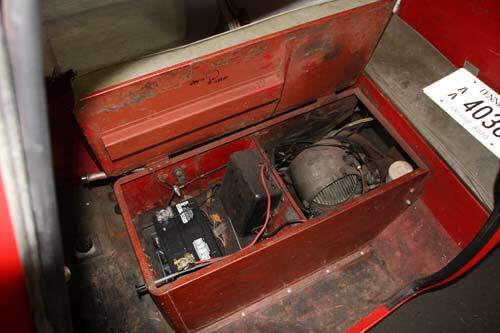 A single passenger can straddle the engine (like a motorcycle). In the book titled “Balkan Roads to Istanbul,” the author–Peter Mott–tells of his adventurous journey in 1960 in a MKI Scootacar. Available in red, blue, and ivory.